You cannot underestimate the important role of POP displays in promotion and how they can positively impact your bottom line. 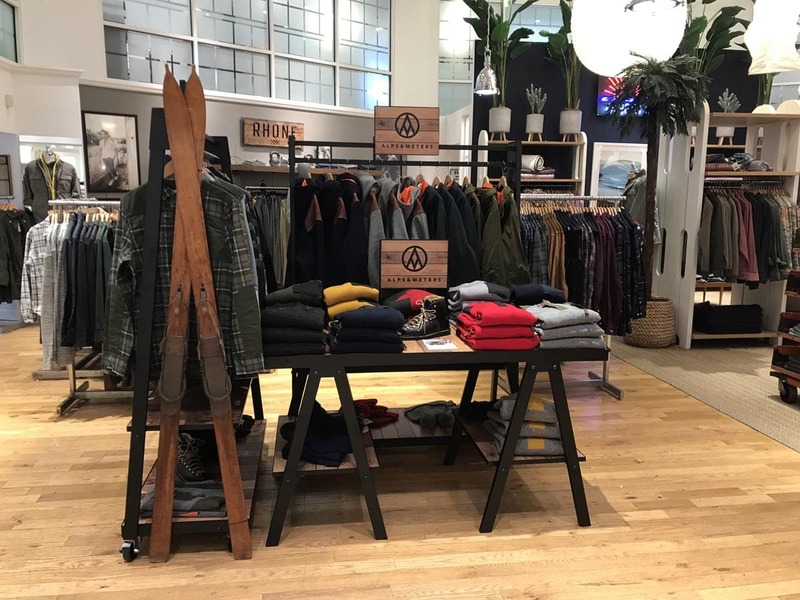 According to the Harvard Business Review, professional, custom-designed POP displays often outperform other methods of advertising and promotion expenditures. All of our clients are valuable, and we consider it a privilege to work with each of them. We’re particularly excited about a successful project we implemented for Alps & Meters. 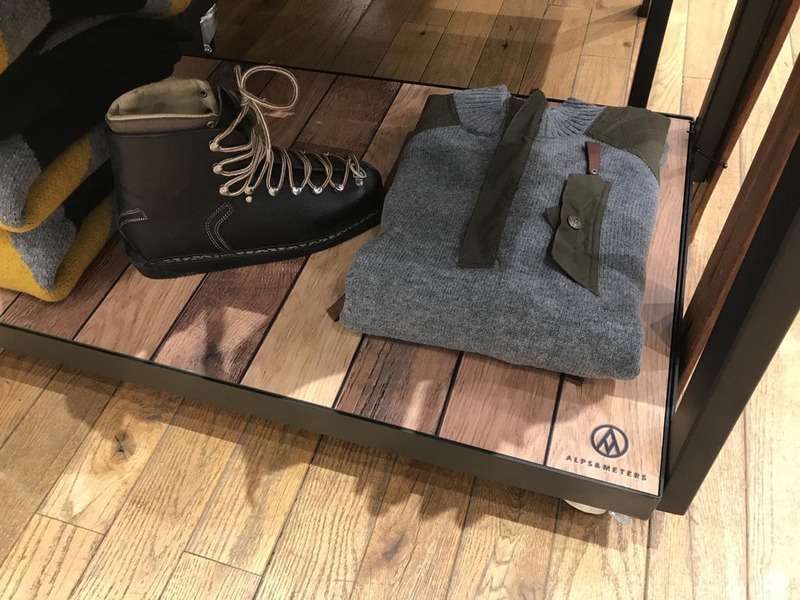 Alps & Meters is a company that produces high-quality outdoor garments and accessories appropriate for any type of alpine sport. The garments are tailored, technical and timeless. 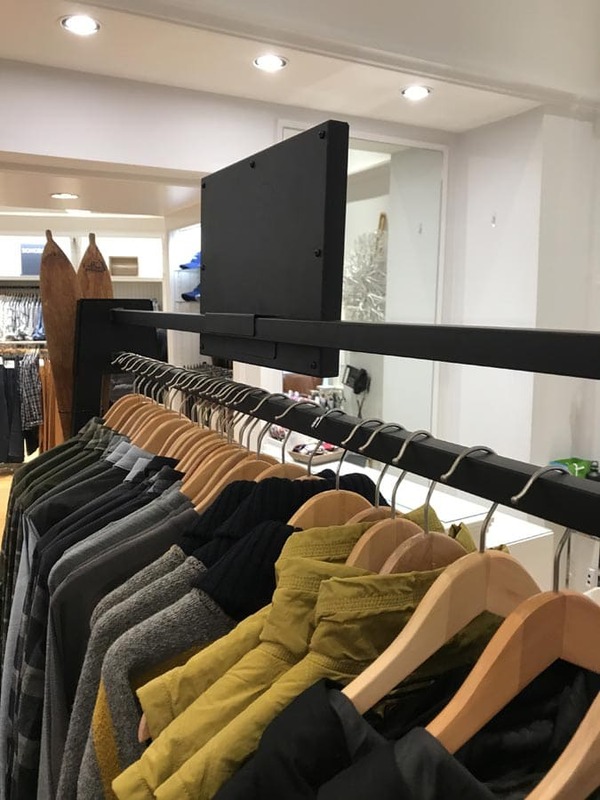 They came to us to create garment racks, tables and table-top displays for their retail stores. 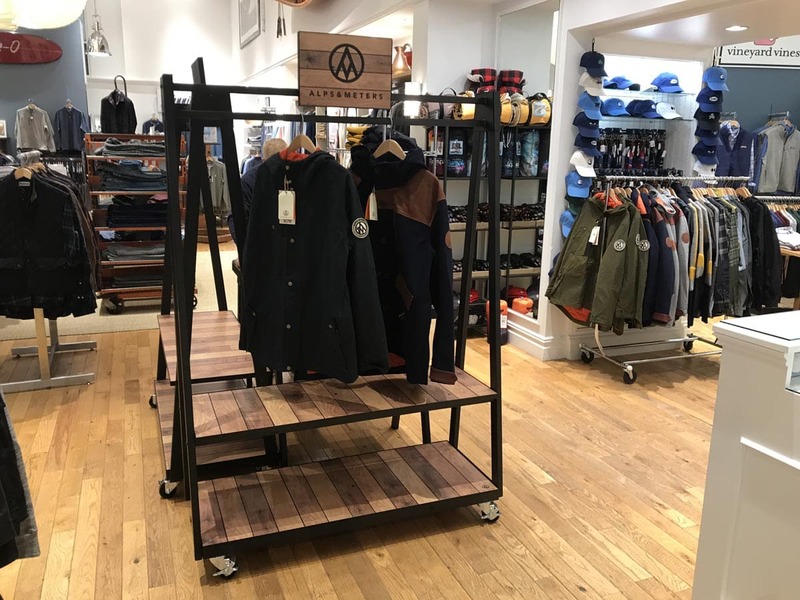 We created 10 garment racks carefully designed to complement the natural-looking wood of the store. It was important for our designer to capture the “feel” of the business. We produced 10 table tops and 50 table top signs that we drop-shipped direct to the stores for our client. Just as we did with the garment racks, our designers worked to capture the atmosphere of the retail space. We used a black texture powder coat along with printed wood shelves & graphics to create a high-end rustic look. You can clearly see the benefits of using the textured powder coat. During the powder coating process, we use resin and pigment powder applied through electrostatic spray deposition (ESD). This creates a durable film and high-quality coating. We can also match any Pantone color, ensuring brand consistency. Our printed wood shelves & graphics for Alps & Meters created a high-end, rustic look. As you can see by the following photograph, there are several advantages to using wood in your display. Interested in seeing if wood is a good fit for your display? Ask yourself if this type of wood supports your brand message, is durable, and can be easily taken down and moved if necessary. Our first-class, creative designers will be glad to work closely with you. You can learn more about the benefits of using certain types of wood in our earlier post The Five Best Types of Wood for Your POP Display. Creating a customized display will result in good return on your investment and help you earn more money. Not sure how to calculate your ROI? Don’t worry, we’ve broken it down for you on this post and outlined five ways you can measure your ROI. We realize that you can go anywhere for a customized display. What sets McIntyre Manufacturing above the rest is our unwavering dedication to perfection. Not only will your project be delivered within budget and on time, but we may be able to find ways to save money that you could have overlooked. We take pride in our products that are made locally by dedicated employees, some of whom have been with us for more than 20 years. Contact us today for an appointment to start the journey of creating your customized display. Since 1977, McIntyre Manufacturing Group has created custom-designed displays with an uncompromised dedication to customer service. We utilize the latest technology and attention to detail to create the finest products with excellent craftsmanship. If you can dream it, we can create it. Contact us to see how we can bring your vision to life.